Mom Taxi Julie: Book club for September! Radish's latest overwrought book (after Dancing Naked at the Edge of Dawn) tracks five strangers– turned–soul mates over the course of the titular funeral, posthumously organized by their friend Annie, who died from ovarian cancer at age 56. 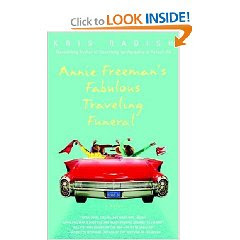 A package arrives at Katherine Givens's front door and in it are the ashes of her free-spirited, altruistic childhood friend, along with instructions for a procession that will take Annie's closest friends on a cross country trip from Sonoma, Calif., to Manhattan, sprinkling her remains as they go. Just nine days later, Annie's former university colleague Jill, women's crisis savior Laura, cantankerous neighbor Rebecca and her hospice aide Marie join Katherine on the journey during which they learn their eccentric friend's deepest secrets and share many of their own. Most importantly, these unorthodox urnbearers understand the greatness Annie saw in them and attain the courage to act on it. Windswept melodrama marks Radish's prose (e.g. 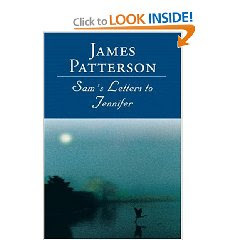 "these moments were the ones Marie needed to keep the tears and gashes in her own soul from washing her out to sea"), but that will not deter readers who relish the idea of women forming bonds when their mettle is tested and finding power and self-actualization in grief, sharing and love. That's right. 1/2. I hated this book. I actually didn't even read the last 10 pages or so. What makes it even worse was that I had to BUY the book because it never came in at the library. So now I have this book to give away if you want to try to read it!! I was seriously the only one in book club that absolutely hated it. Everyone else said maybe it's because I'm not old lol. I dunno. I think it sucked. I'll leave it at that!! If you'd like to be entered to win it from me leave a comment saying so! I'll send you the book and a bookmark if I draw your name! I'll give it until Monday. So no one wanted the book, huh?